I sculpted the very tiny sloth and cast it in sterling silver, much of it from reclaimed sources It measures about 3/8" at the widest point (10mm) so it is indeed very tiny! It has a matte finish and and you have the choice of a 16", 18", 20", 22" or 24" .925 sterling silver chain. It's shown on 16". So cute, my daughter loved it. 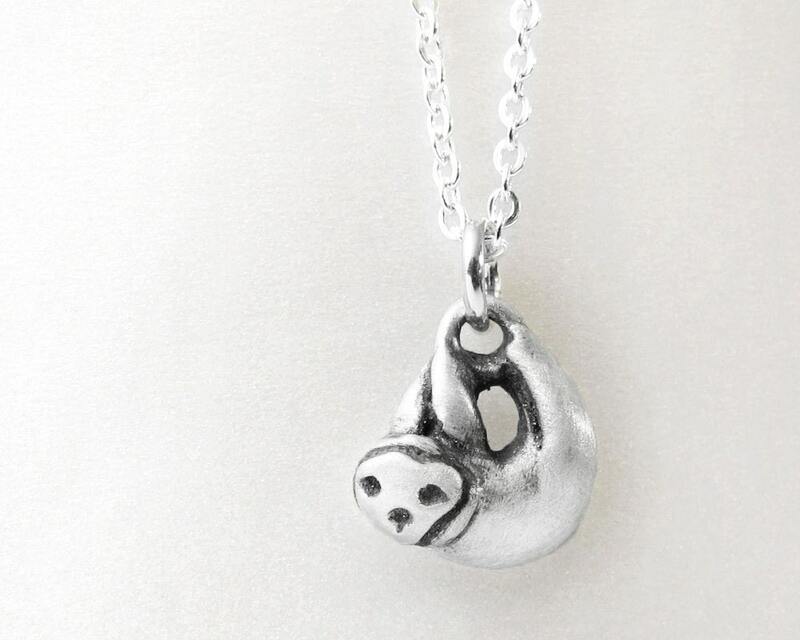 This little sloth charm was so adorable! Super fast shipping. Thank you, my daughter loved it!!! Perfect size! Soooooooo cute! Quick shipping! I love it!! Great conversation and information from the seller. The charm was perfect for a bracelet and I didn't have to buy the chain. It is an adorable charm with a lot of great detail.